If you are a Sephora Beauty Insider (VIB or VIB Rouge), then you probably look forward to their email reminder each year letting you know that they have a birthday gift waiting for you. I just had my birthday last week, and was so excited when I saw that one of the birthday gifts they were offering was a BITE Beauty Set of Minis or a Glam Glow Set of Deluxe Samples. There is also an online Birthday exclusive featuring Bumble & Bumble gifts! 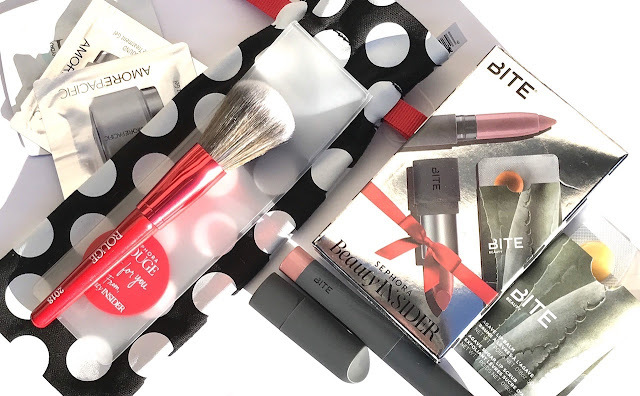 I love BITE Beauty, and love the smaller sizes for travel– therefore this was an easy choice for me. The set includes: an Amuse Bouche Lipstick in Chai (Mauve Brown. 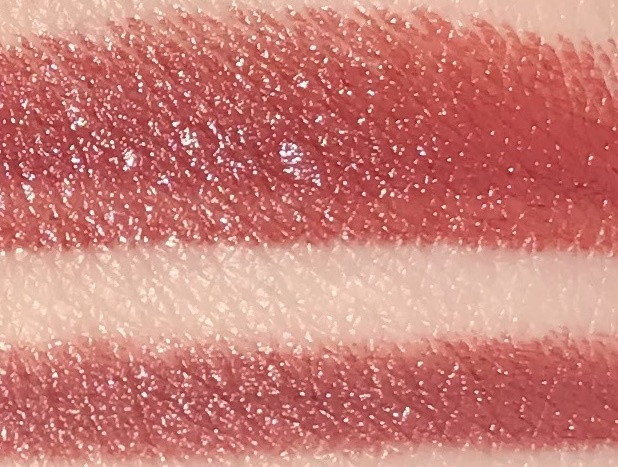 0.05 oz), a Matte Creme Lip Crayon in Glacé (Dusty Mauve. 0.031 oz.) and a packet containing Agave Sugar Lip Scrub (0.018 oz.) and Agave Lip Balm (0.018 oz). Since I am a VIB Rouge member, they also included a Sephora Collection PRO Mini Airbrush 55.5 Brush and some skincare sample packets. 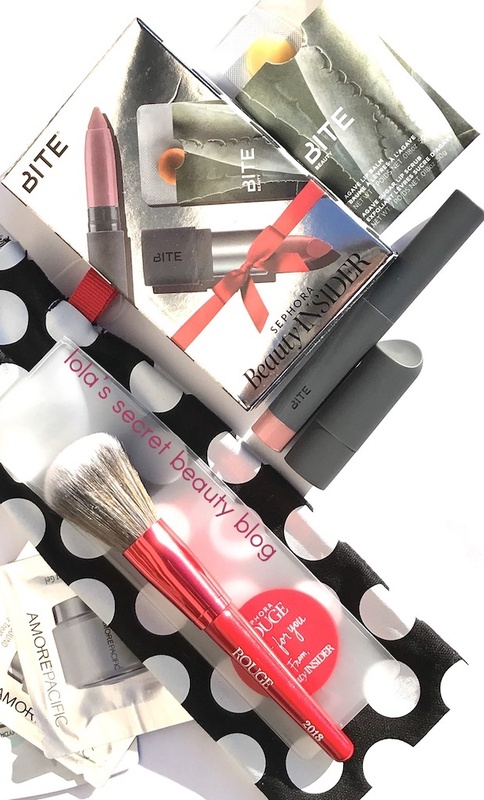 If your birthday is coming soon, and you are a Sephora Beauty Insider, then I definitely recommend getting this gift– I am very happy with mine. It's definitely a great gift this year! I will swatch them and add a picture! The Rouge brush is thick and fluffy! Wow, I love the gifts this year! Me too! It's definitely worth getting! I was happy to get the Bite Beauty for my birthday gift this year too. At least with Sephora you can get your gift online while Ulta you have to go into the store (so I missed out this year). I'm so glad that you picked yours up as well! That's a good point, Sephora definitely makes it very easy to get your gift! I love Bite so I'll definitely pick this one this year! It's definitely a good birthday gift! I was super happy to get it! These are nice gifts. I’m pumped about the Bite Beauty!!! I agree! I was so happy to get mine! That's a great set, my birthday is in Dec. and they are always out of the good stuff LOL! It is a great set. Hopefully they will still have these sets, or even something better, once your birthday comes along! That is a nice Birthday goodie! I can't wait to redeem mine in September. I agree, I am quite pleased to have received it! Definitely worth redeeming in September! I am so excited for this years gift! Also, that brush is gorgeous! It's definitely a good birthday gift, and the brush was a wonderful added surprise!